Many of the alumni of YGB are accomplished artists in their own right, performing at a very high level in various various ways including as poets, scholars, live performers, rap artist, performance artists, youth directors and so much more. We have alumni who have been Poet Laureates, MC Champions, featured in major media like the Huffington Post, performing at the Kennedy Center for Performing Arts, releasing albums, writing plays and leading our YGB on a weekly basis. We are immensely proud of our alumni as they carry the legacy of what YGB represents forward into their independent lives. Obasi Davis is a founding member of Young Gifted and Black of Oakland. He began is time with YGB when he was in 7th grade and continued to attend in various capacities including participating in the first YGB International Tour to London and France. Over the next three years Obasi won the Youth Speaks Teen Poetry Slam twice, and attended Brave New Voices representing the Bay Area. He was named the 2013 Oakland Youth Poet Laureate, and he received a full scholarship to the University of Wisconsin at Madison in the First Wave Program for Hip Hop Arts. Obasi currently majors in Fashion Design. He produces and performs Hip Hop music under the name Basi, and works in graphic design. He graduates in May 2019. Amari Chatmon is a founding member of Young Gifted and Black. He joined when he was in 5th grade and traveled to Ghana as a member of YGB in 2012. Amari was a founding member of YGB Gold. Amari also has had success as a writer and performer. He is the three time defending Bay Area MC Olympic Champion and attended and competed in National MC competitions. He is the 2016 Brave New Voices National MC Olympic Champion, and was the National Runner Up in 2015. His music has been featured in "King Makers" a film that highlights the African American Male Achievement Initiative in Oakland. He has been amazing audiences throughout the Bay Area having opened for PE2.0, STIC of Dead Prez, and others. JAX is Sai Jackson, Aman Jackson, Sudan Jackson And Ayo Jackson, an award winning live band of siblings all of whom are former members of Young Gifted and Black. Two of these young people traveled not the 2012 tour to Ghana, West Africa and were members of The Kids and YGB Gold. These youth play multiple instruments, write, compose and perform their own songs and travel widely to share their gifts. They currently reside in Haiti, and Oakland, California. The have performed all over the country, including at the Essence Awards in 2017. They recently became resident Artists for Zoo Labs, which is an music artist incubator. JAX has a super bright future as a group. Imani Love was a founding member of the first all girls High School YGB Ensemble, The Black Sheroes. She spent two years in YGB until she embarked on a more serious career as a poet, song writer and artist. She since won the Youth Speaks Teen Poetry Slam, competed at Brave New Voices, was a finalist in for the 2014 Oakland Youth Poet Laureate Program and received a scholarship to attend School of The Art Institute of Chicago. For her freshman project she recently won National acclaim for a photo series examining appropriation of the bodies of Black Women. Her expose was featured in media around the country including AfroPunk, Huffington Post, Unworthy and other platforms. Nia Leilani Lundkvist is a former member of YGB Gold and also the first Youth Director of the Black Sheroes. Nia is an accomplished actress, having starred and received awards for her performances in several plays at her alma mater Oakland School for the Arts. As a poet she has competed for years in the Youth Speaks Teen Poetry Slam, and last year competed in Atlanta Word Works Teen Slam. Nia won a spot on the Atlanta Youth Poetry Slam Team and competed at the Brave New Voices International Poetry Slam in 2016. Team Atlanta made it to the Finals, taking second in the country in youth poetry, after stellar performances in a highly competitive final round in the historic John F. Kennedy Center for Performing Arts. Nia is currently a senior at Spellman College in Atlanta, where her artistic career will continue to grow. Ikera Davis served as the inaugural Youth Director of YGB in 2016 and has served as a YGB Director for 3 years. Her extensive performance experience inside and outside of YGB, and as a founder of YGB Oakland, The Black Sheroes and YGB Gold she has a lot to offer the organization. She recently toured Trinidad and Tobago with Black Gold, performing and directing the group. She is currently serving as Director of "The Black Sheroes" which is the main YGB group in Oakland. She assists in other aspects of the administration of YGB including supporting our expansion into Berkeley. Ikera is currently a full time student at Diablo Valley College who continues to make time to support YGB. 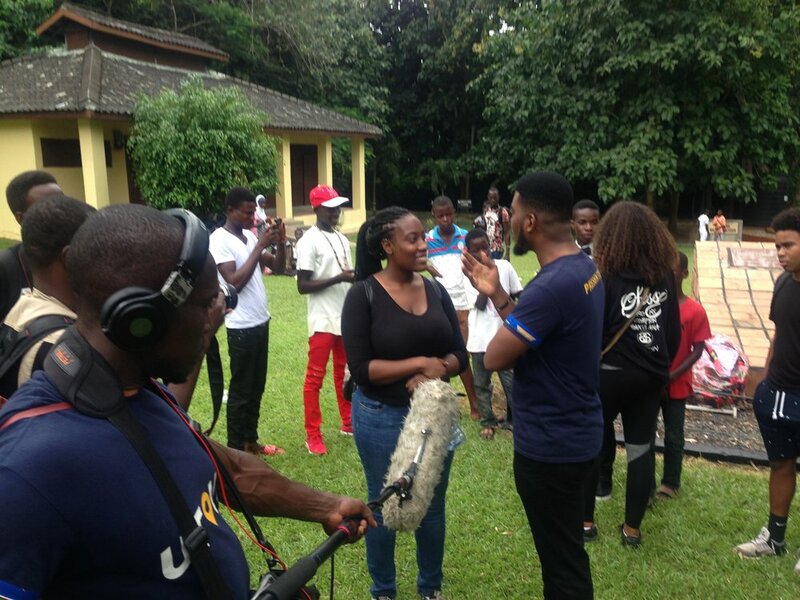 In 2012 5 original members of Young Gifted and Black graduated from Middle School and traveled to Ghana, West Africa on a journey of discovery. After touring, performing, experiencing the homeland first hand, and serving as the first members of YGB to do so, these youth returned and formed YGB Gold, aka Black Gold with the alumni who did not travel with them. 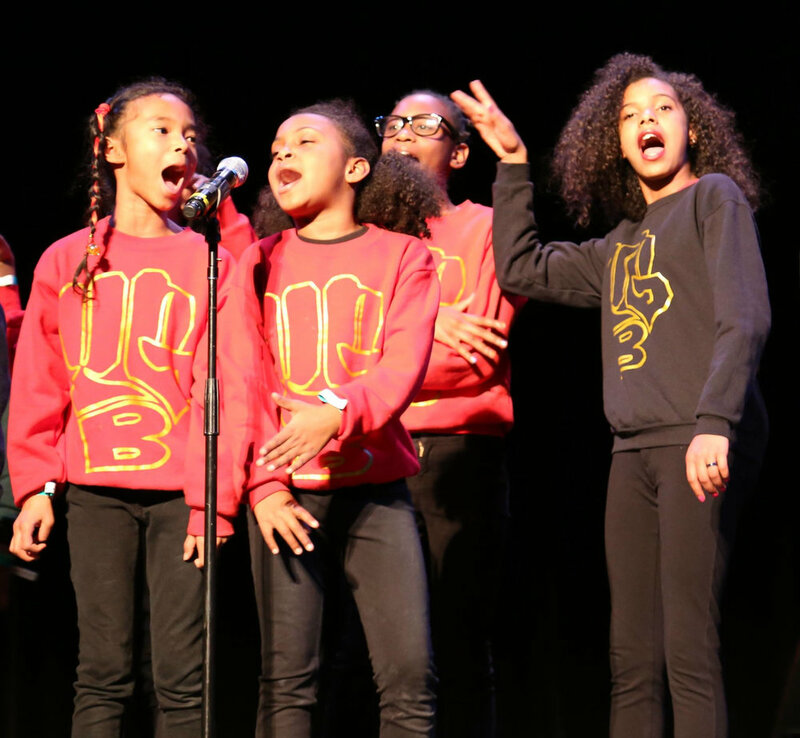 Over the course of the following three years, these alumni performed throughout the Bay Area and spread the word of Young Gifted and Black throughout youth and social justice communities all over California. They electrified audiences at rallies, schools, conferences and festivals throughout the Bay Area. They opened for an array of poets and MC's including but not limited to Talib Kweli, Amir Sulaiman, Saul Williams, Marc Bamuthi Joseph, Dead Prez, Dr. Joy Degruy, Dr. Anthony T. Browder, Ericka Huggins, and a host of others. YGB Gold is not available for booking. 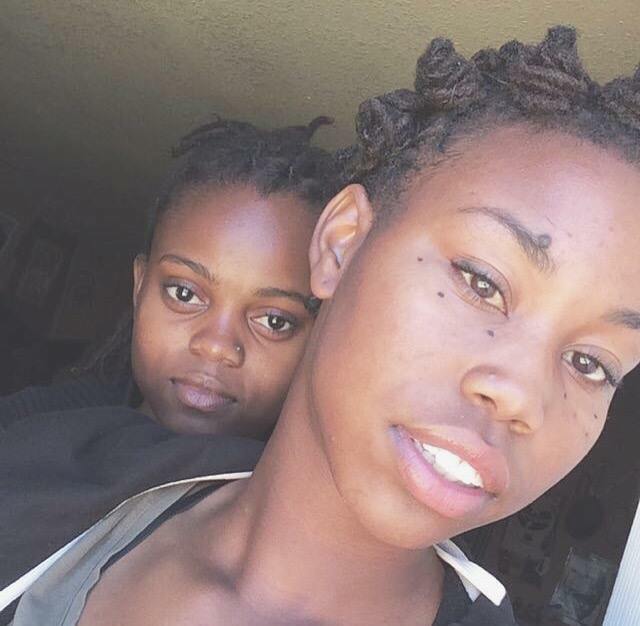 Young, Gifted and Black of Oakland presents:, "Welcome To Us". 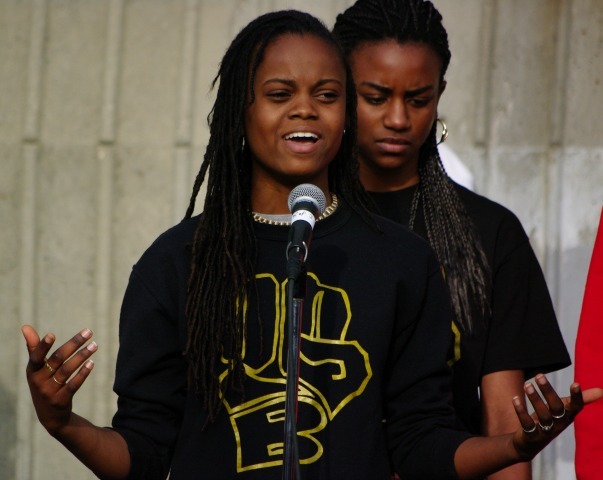 Performers are YGB Gold, An ensemble poetry group of young teens that teach history through spoken word. Oakland based youth performance ensemble YGB Gold took a second historic trip to Ghana, West Africa in 2014. They filmed this video in freedom square. the site where legendary Black Hero and former President of Ghana Kwame Nkrumah declared Ghana's Independence from The United Kingdom. 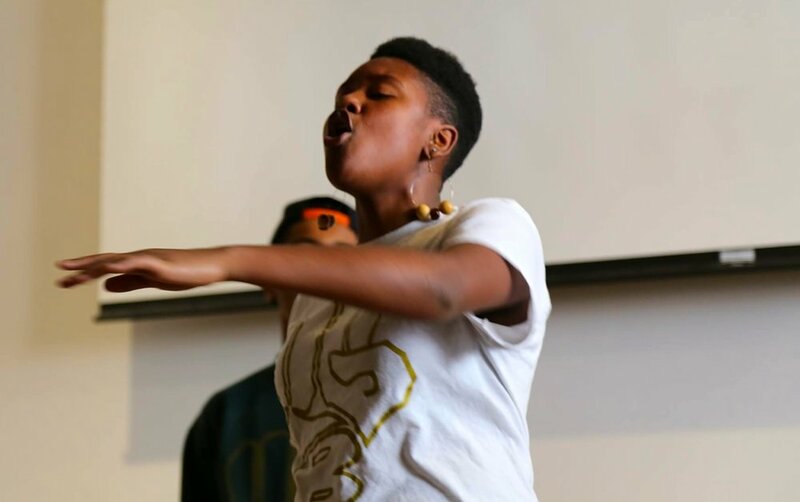 Young Gifted and Black is a repertory group that uses poetry and rap to teach African American History. Based in Oakland, California the group has performed extensively throughout the Bay Area, and overseas in Europe and Africa. Here they are premiering a unique song about ending violence in the streets of Oakland.